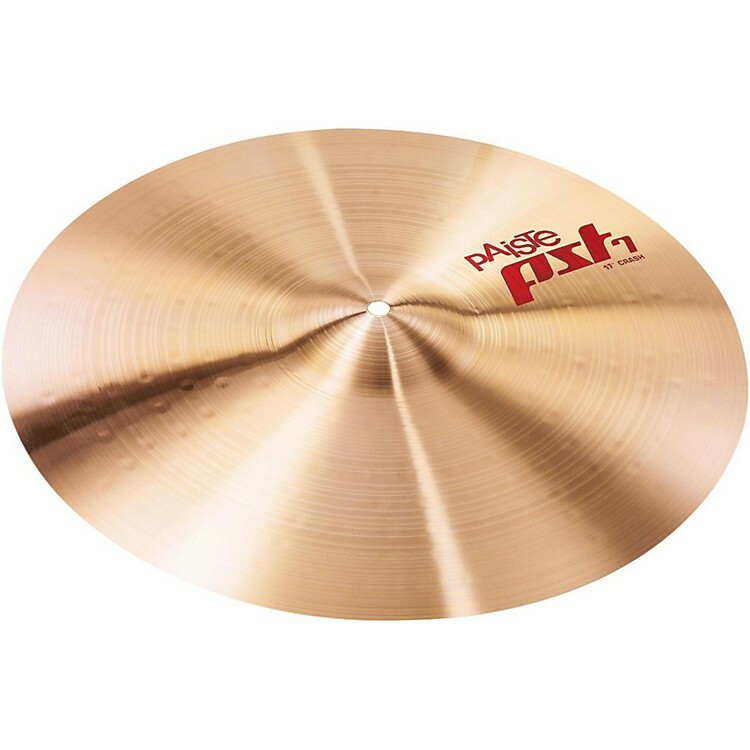 Paiste PST 7 Crash 17 in. First-class manufactured cymbals and high-quality sound at an affordable price. Paiste Sound Technology (PST) adds an affordable line for drummers who like a traditional sound, look and feel. PST7's base is CuSn8 bronze which stems from the legendary 2002 series. The cymbals are lathed by Paiste's Swiss hand craftsmen to achieve their distinctive traditional look and finish. The result of Paiste's precise Swiss manufacturing is a warm and clear overall sound and by offering three weight classes, light/thin, medium and heavy, PST7 covers a wide range of different music styles.